Kissing Crane Stiletto Imitation Abalone Damascus | BUDK.com - Knives & Swords At The Lowest Prices! We know you like stilettos, but you&apos;ve never seen one this nice. 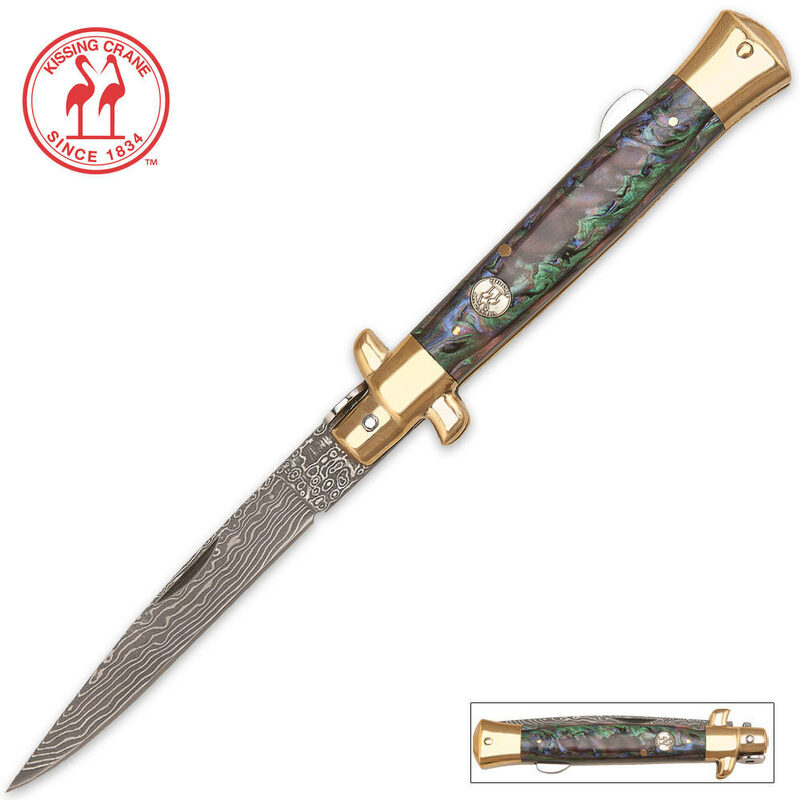 The all-new Kissing Crane imitation abalone handle stiletto features an imitation abalone handle with brass plated pins and bolsters, and a brass Kissing Crane cast shield. Completed by a 4" Damascus steel blade, it&apos;s just what you need for elegant looks and great protection. 5" overall. Delivery, as always, very quick and well packaged. this is a very nice folding knife. the blade is nice and sharp, as with all dmascus blades from this site. i recommend this to anyone who is a fan of dasmascus blades or fanse of pocket knifes. Well done Trueswords. I will be ordering off this site alot more in the future.